Our Scouts really enjoyed learning all the different ways to light a fire, they were the quietest I have ever seen them! Gary’s calm manner meant they had to listen carefully and learnt a lot. They were especially keen to learn how to make a potholder for their fires and were impressed by Gary’s skill as they realised it was harder than it looks. 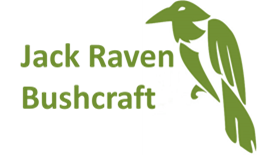 Overall I would happily recommend anyone to book a session and learn some valuable skills, we all enjoyed ourselves, leaders included and would definitely use Jack Raven again.